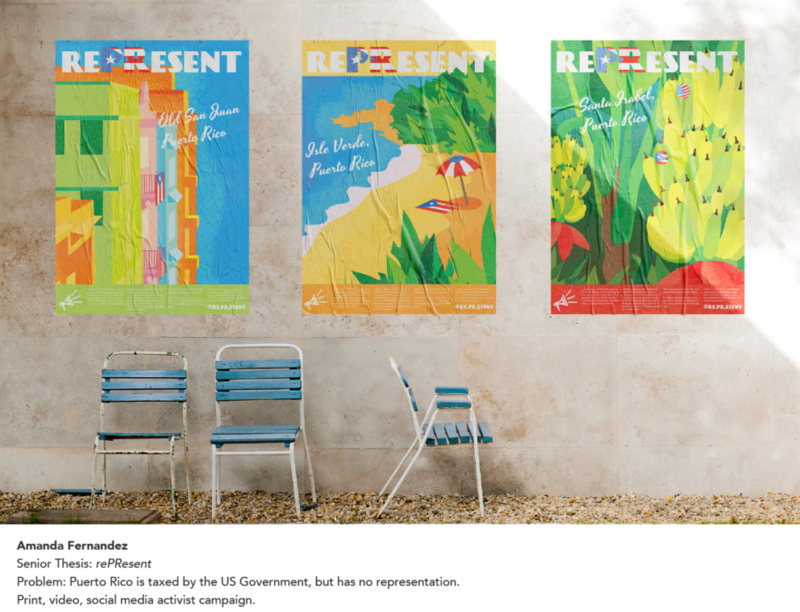 Brief: Research, design, and produce advocacy materials for Puerto Rican representation in Congress. 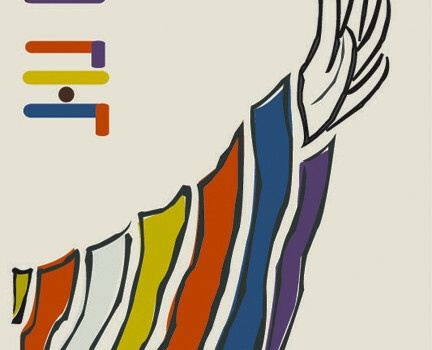 Brief: Design for a poster promoting Korea. 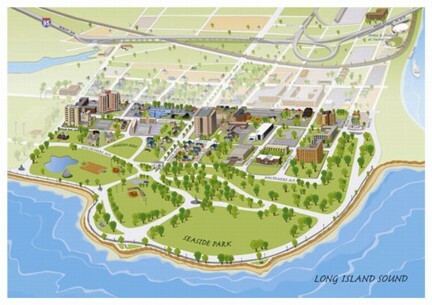 Brief: Design and produce a map of the University of Bridgeport Campus. 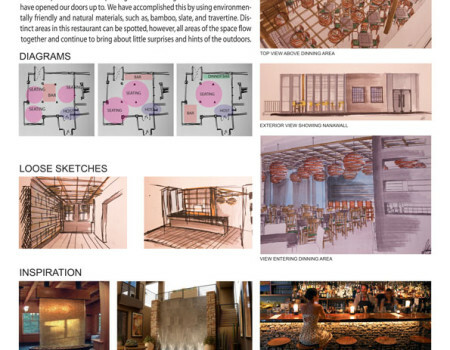 Brief: Design, plan, and render a cosy bistro restaurant for the ASID competition (concept, space planning, sketching).